Welsh business mobile provider ITCS have welcomed news that mobile phone screen manufacturer Corning are introducing an even tougher version of their famous Gorilla® Glass, which Corning claim is the most durable cover glass to date. 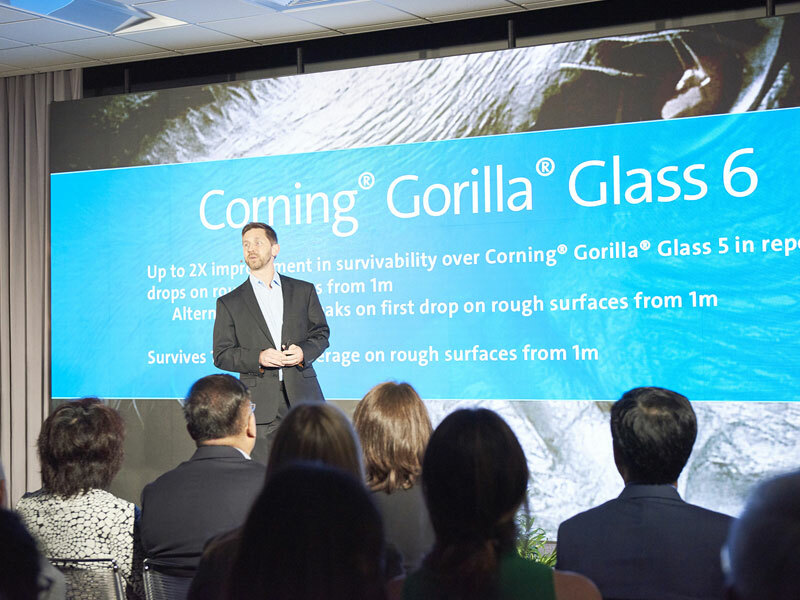 Having been introduced in September 2007, and leading the industry since, Corning’s Gorilla® Glass screens have provided serious protection for phones against drops and falls, however we’ve all got that one friend who seems to get through screens like it’s going out of fashion – even with Gorilla® Glass. A recent worldwide Toluna consumer study revealed that, on average, people drop their mobile phones seven times a year, with more than 50 percent of the drops occurring at 1 meter or below. While traditional screens have been built to withstand single drops, the new glass is an entirely new material engineered specifically to survive MULTIPLE drops. Initial results are promising. On average, in lab tests, Gorilla Glass 6 survived 15 drops from 1 meter onto rough surfaces, and is up to two times better than Gorilla Glass 5. Under the same test conditions, competitive glass compositions, such as soda lime and aluminosilicate, did not survive the first drop.